Nice to see you again, dear friends! This time we’ve prepared an inspiring collection of modern and professional WordPress themes devoted to the art of photography and suitable for composing your awesome personal portfolios. Whether you make fashion photo sessions, you are focused on family photos, create amateur snapshots or you are open for hiring as a wedding photographer, the following templates have you covered. Words are useless, just browse the themes and enjoy! Modern photography has evolved from the very first photographic process which first appeared in 1824 and was called heliography. This process was invented by Nicéphore Niépce and supposed obtaining the photos with bitumen of Judea spread on a silver plate after being exposed for several days. 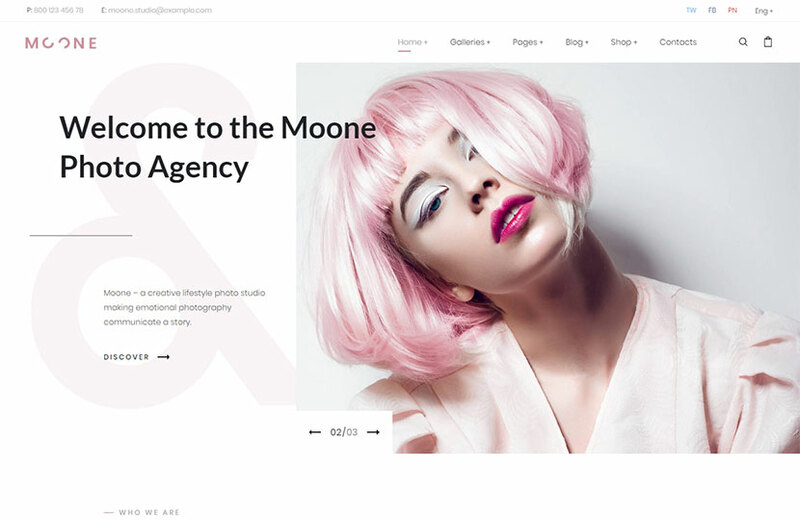 It’s great that folks started to invent the ways of capturing the best moments hundreds of years ago, so today we can enjoy awesome photography works and display them on photo websites based on the themes like Moone. This WP template made by our friends – GT3 Themes, is a great solution for displaying the snapshots in different gallery types you can choose to your taste. See more of the theme’s features and enjoy! A new step in developing a photography process started in 1829 when N.Niepce began collaboration with Louis Jacques Mandé Daguerre and they continued the research. In 1832 they invented another process of creating photos during one day exposure using a residue of lavender oil distillation. Another splendid creation of GT3 is Bradley Photography. This WordPress design is surely going to satisfy the exquisite preferences of creatives. 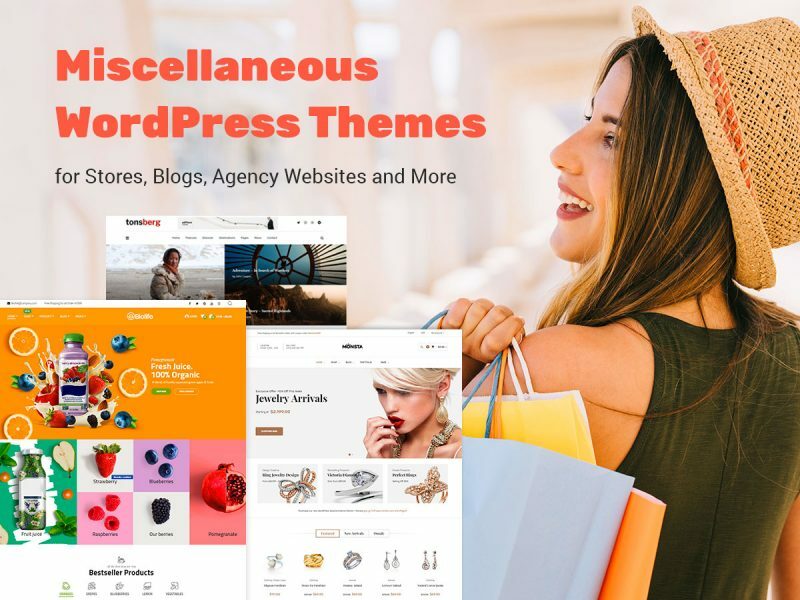 The theme is integrated with WPBakery page builder, comes with a tremendous bunch of gallery layouts, lots of portfolio templates, numerous pre-defined inner pages, amazing blog layouts, and a very unique design. Try it now! After the death of Niepce in 1833, L.Daguerre continued the research by his own and invented a daguerreotype in 1838. A process of creating this kind of photos supposed using a silver plate coated with a very thin silver iodide layer which had to be exposed in a camera obscure. After that it had to be exposed to mercury vapors to induce the apparition of an invisible latent photo formed while being exposed to light. 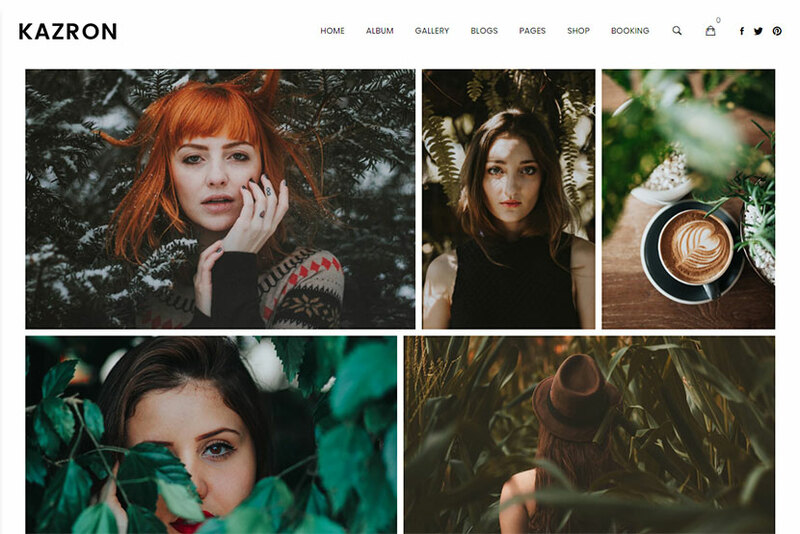 Take a look at this cult-favorite photography WordPress theme diligently designed by GT3 Themes and transformed into a gold standard of photo WP templates creation. It comes with 3 homepage layouts to select from and a number of gallery templates including ken burns, packery, fullscreen, grid, ribbon, flow, and much more. It is fully integrated with WooCommerce, includes a multitude of cool features and going to provide you with unlimited possibilities, just try! The invention of daguerreotype reduced the exposure time from one day to 30 minutes. This was the amplification of light effect which made the creating of photo much faster. The process of making a photograph was finished by fixing the image with the help of immersing the picture in sea salted water. 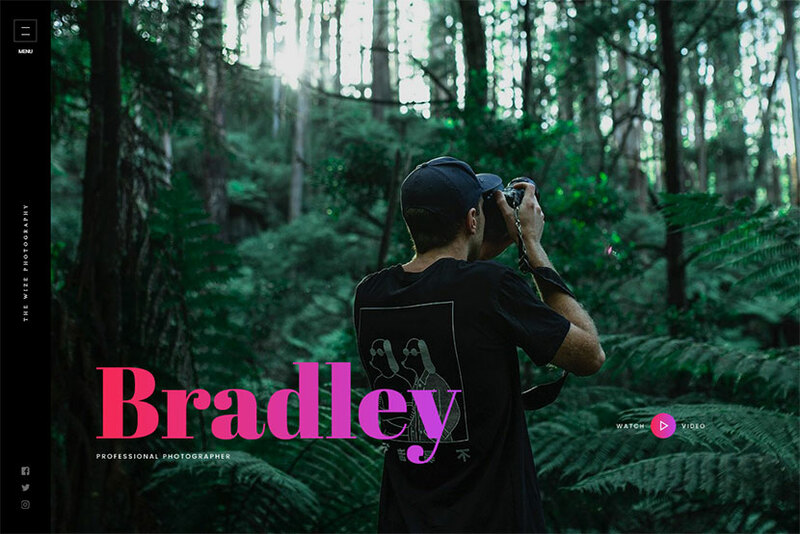 50+ homepage variations are provided by Brailie – a top-notch photography WordPress theme we are happy to introduce you today. You are welcome to select the way you want to be present on the Web, so choose from dark fullscreen, one page fullscreen, Revolution Slider, slide portfolio and parallax, flow gallery, carousel, box layout, split slider, or many more readymade designs available at your disposal. Check out numerous features of the theme and download it now. A man from France named Hippolyte Bayard discovered a new way of obtaining positive images from photographic negative in July 1839. This process allowed to see the ready images directly on paper which was covered with silver chloride and blackened by light to be then sensitized in silver iodide and exposed in camera obscura. 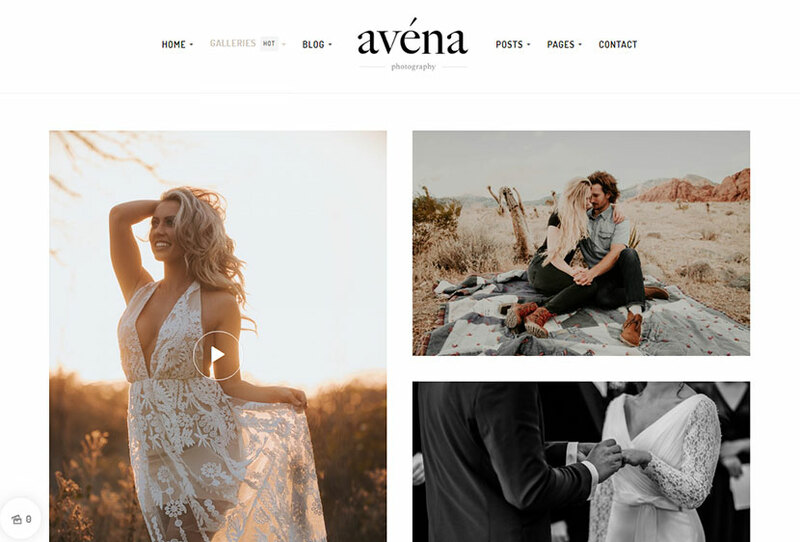 Avena is a minimal and beautiful photography WordPress theme coming with two homepages and a bunch of gallery layouts. You can select from horizontal scroll, mosaic gallery, alternate, list, grid, masonry, extended, and many more variants of displaying your photos in portfolio. If you are a photographer but not a programmer, no need to worry, the theme is fully intuitive and easy to use for anyone, so you can build your personal promotional website with simplicity. William Henry Fox Talbot – an English man inspired by the invention of daguerreotype, resolved to resume the research of Niepce and Daguerre in 1839. Talbot continued his own research and, in 1841, he patented the calotype which was the first negative-positive process. It supposed that the same photo was multiplied using intermediate negative on a paper sheet covered with silver chloride and made translucent with wax. Kuist is a WordPress template which is intended to help you show the thumbnails of your best photo works right on your homepage. The left sidebar includes a vertical list of letters, so hovering over each letter shows a name of album or work that a user can click to check out. 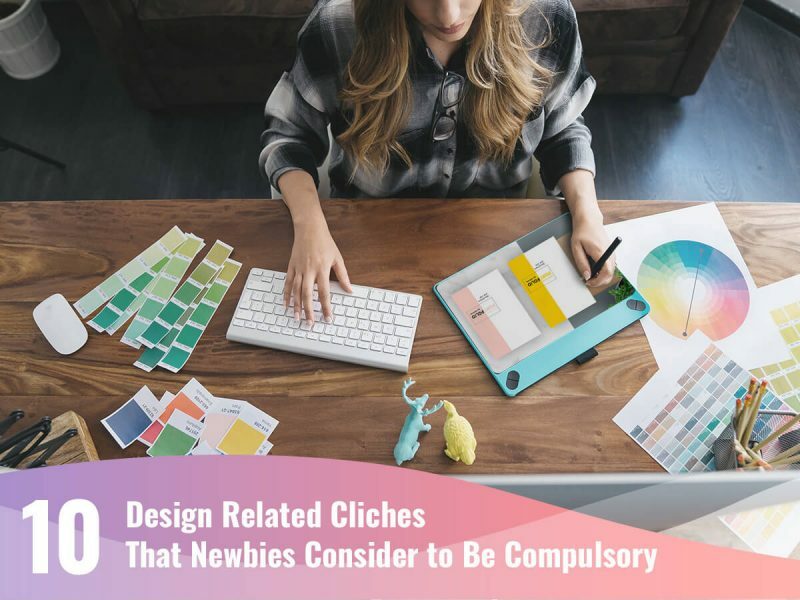 The overall look of the theme will represent your original approach to showcasing your creation and your creative worldview. 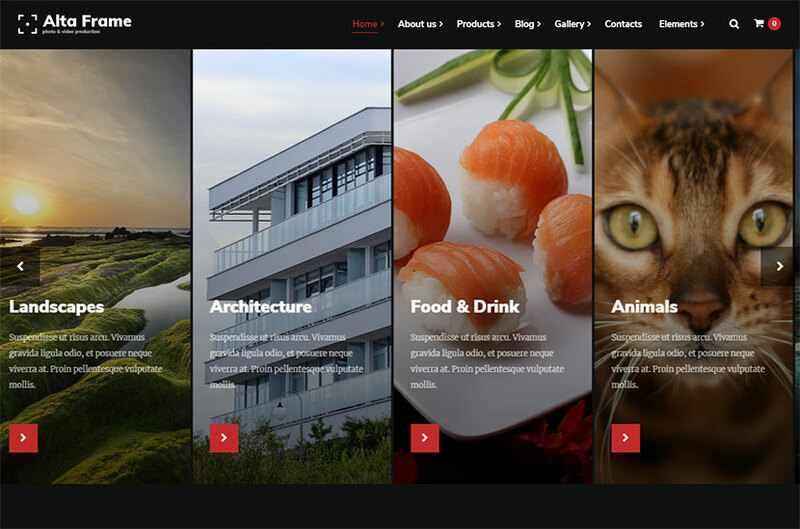 See the features of the theme to make sure it suits your needs. If earlier the images were fixed by the salt water, then in 1839 there was another fixing way invented by John Herschell. This supposed dipping the images in a bath with sodium hyposulfite which is still sometimes used for fixing the photos. Calotypes were continued to be utilized as the way to easily obtain a photo right on the paper sheet. However, the fibers of negative paper limited the sharpness of such photos, so this made the calotype a bit less quality than daguerreotype. Jeanne is a very pure and minimal WordPress theme which comes with a clean design and a possibility to greatly present your featured works. This template is going to be quite suitable for those who make snapshots of architectural projects, interior, nature, materials for advertisement, videographers creating promotional footage, etc. The theme is lightweight, fast and easy to use. As the exposure time of the photography of 1830-40’s ranged from 30 minutes to 2 hours, the main task of the researches was to reduce this time as much as possible. This is why the physicist Hippolyte Fizeau discovered short focal lenses in 1841. The researcher started to use silver bromide and it was really sensible to light. The exposure time was reduced to several seconds and this was a great forward step. 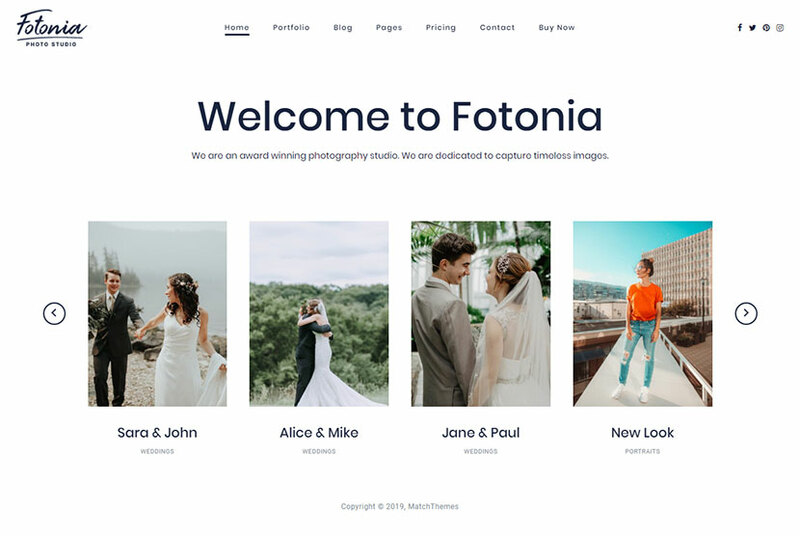 Fotonia is another upmarket solution for photographers, illustrators or artists. It includes a list of portfolio layouts, so you can use any of them to display your photography works to potential clients and win their hearts. 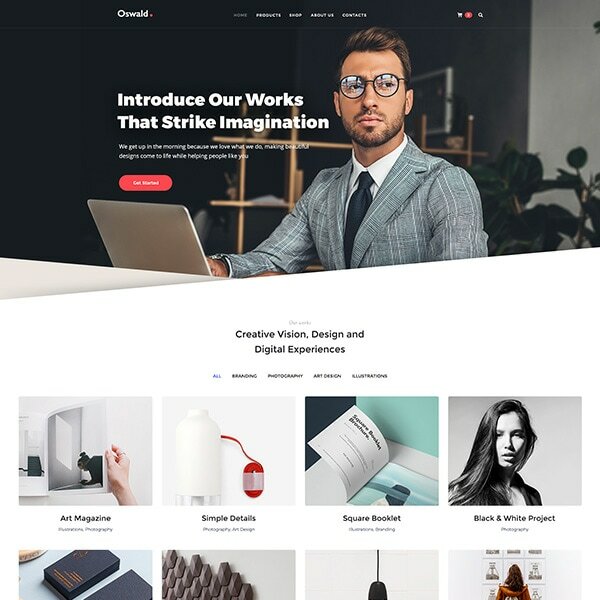 By the way, the template includes 10+ homepage templates designed in different styles and allowing to showcase photo collections in different ways. Check out the theme now! To improve the quality of calotype it was necessary to increase its negative transparency. That’s why in 1847 Abel Niépce de Saint-Victor started to use glass instead of paper. Silver bromide was mixed with eggwhite to better adhere to glass. The images became sharper and too saturated, so this was the encouragement for opticians to start developing lenses with higher definition. Take a look at Christopher WordPress theme crafted for photography and portfolio purposes. You can display your works on the homepage in packery or masonry style, include unlimited categories with photos on the homepage, and display your works any way you prefer. The template will suit for an abstract photographer, illustrator or artist who wants to create a portfolio website focused on content. Eggwhite was replaced with collodion (based on cellulose nitrate) in 1851 by Scott Archer. This photography process made monochrome images as quality as never before. The only disadvantage, in this case, was that the ready picture was taken while the collodion was humid, so the photo creation process had to be made instantly after the exposure. Kazron is one more photography WordPress theme designed with inspiration and diligence. It provides you with a freedom of choice when it comes to selecting a gallery style for displaying your photos on the Web. Thus you can select from horizontal slider, masonry, parallax, ken burns, grid, and more readymade templates for your gallery. The theme comes in light and dark versions as well as includes multiple homepages, blog templates, and more features. To keep the substance humid was inconvenient until this problem was resolved by Richard Maddox and Charles Bennet in 1871. If Meaddox offered to replace collodion with gelatin, then Bennet perfected this process and showed a high sensitivity of gelatinized plates during being kept at 32° Celsius temperature for a few days. This way of making a photo reduced the exposure time to a single second. 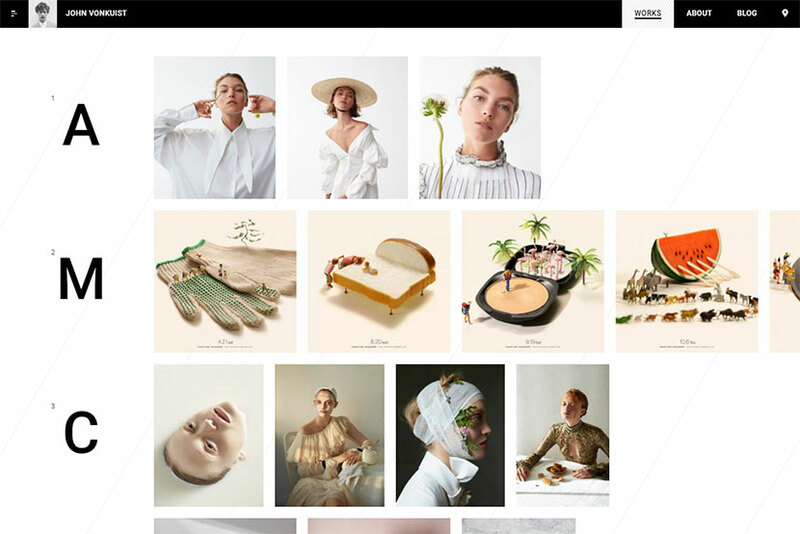 Andra is considered to be minimal and creative photography template suitable for portrait and fashion photographers and available with amazing ajax page transitions. It allows to create either a portfolio with visible text or a text over image, represent your personality and introduce your creativity in the About section, run your blog and share your creative vision, and get much more possibilities, just check it out! High sensitivity of plates caused the necessity to create a mechanism which will allow the light enter the camera for less than a second, so this was the start of the shutter’s history. Before 1880 it was required to be able to precisely evaluate the intensity of light, so the light meter was invented as a key measuring device. Sansara is a dark chocolate of a theme made for WordPress and appropriate for representing photography works in a stunning manner. Black and white colors are mixed in original forms and shapes showing off every section of your website in an unusual and eye-catching way. This template will suit not just for a photographer but also meets the needs of a musician who wants to share their albums and compositions on the Web. Check out all of the 16 homepage variations to select your best one. In 1888 the idea of supple base was conceived by George Eastman (Kodak founder). Glass plates weren’t used anymore, but the celluloid rolls started to be utilized instead. Despite of this, the photographs still lacked color reproduction. In 1851, Niépce de St-Victor tried to better directly reproduce colors using the silver plate coated with pure silver chloride. However, the colors were reproduced in an unstable way. The Halftoon is another minimal and advanced WordPress theme for photographers who need to present their works in an original way. 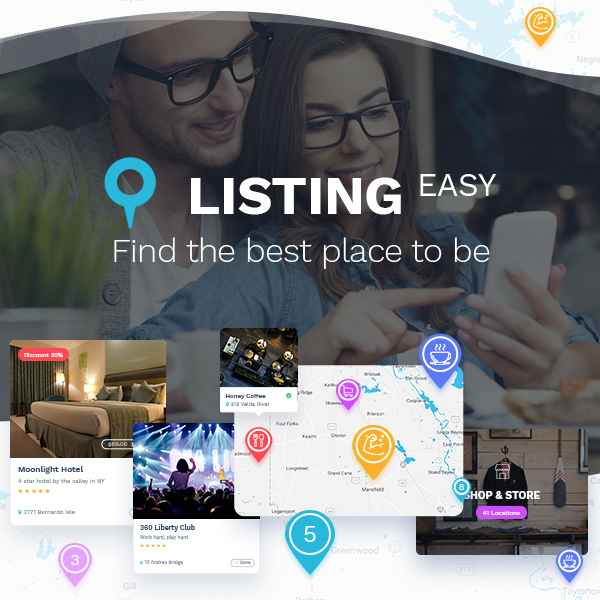 You can choose among full and minimal blocks, regular, minimal and smart carousel, animated grid, parallax, video, moving masonry, and many more homepage layouts available for your website. Feel free to use more than 50 WPBakery page builder elements and build your photo website with ease. The first color photo appeared in 1869 when Louis Ducos du Hauron applied the principle of decomposing light in three primary colors including yellow, red and blue. He captured the same thing in three different filters, one in red, another one in yellow and the third one in blue. As a result, he obtained three positives and brightened them up with color correspondent to every filter. The color recovery was made by means of laying the three images on each other. Kordex is a studio photography WordPress theme which comes with 4 sets of homepages each including 5 layout variations. You can select among cover photos, fotorama, fullscreen particles, carousel, various slideshows, and much more homepage layouts to your taste. By the way, the theme also includes different portfolio sets with a number of layouts in each one, a multitude of blog templates, masonry, wide, boxed and classic gallery layouts, proofing templates, and much more. In 1891, the physicist Gabriel Lippman discovered a way to directly obtain photos in color using the same plate. This became possible thanks to redistribution of light intensity – the holography. Such process of obtaining photos was too complicated and was left only a laboratory experiment. However, G.Lippman received a Nobel prize for his invention in 1906. 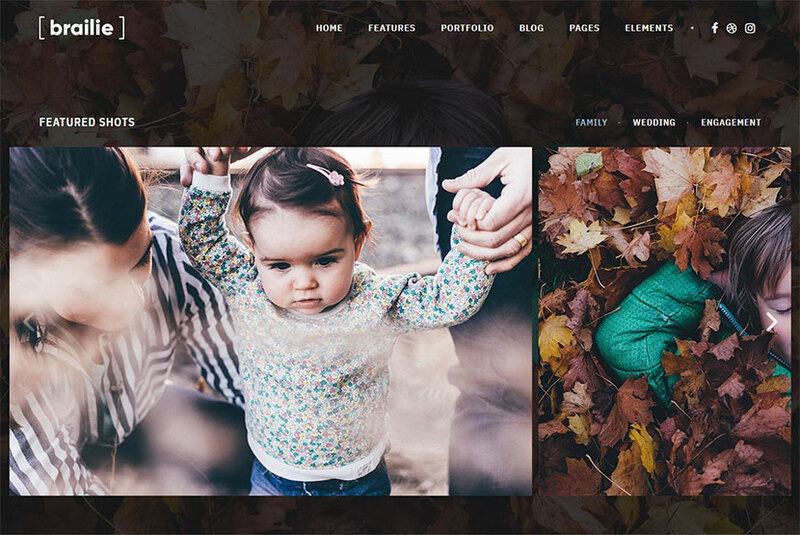 Altaframe is one more amazing photography focused WordPress theme which is worth your attention. It is applicable for drone aerial photography, photo school or photographer portfolio. 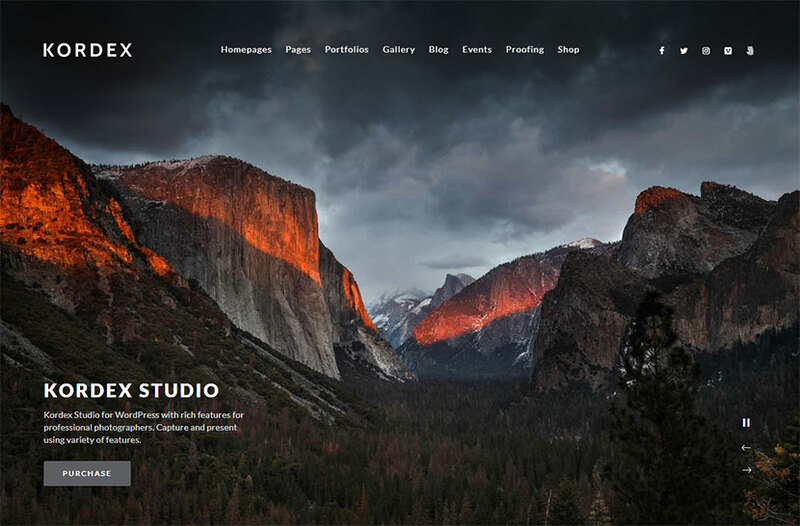 The template comes with 4 different homepage layouts made in various styles and suited for displaying your photos either in sliced gallery, a hero image, ken burns slider, etc. Check out much more of the theme’s features and buy it to launch your website with no delay. Of course it’s impossible not to mention Lumiere brothers who were the amateurs but had enough enthusiasm to create monoplate color process in 1906. They discovered an autochrome plate which was based on a principle or thrichromatic synthesis. The researchers used a single plate filled with an inlay of microfilters represented in primary colors brought by tiny colored grains of potato amylose. The invention of chromogene developer for color photography made by R.Fisher in 1911, the improvement of trichromatic principle made by Agfa in 1936, the works of Agfacolor and Kodachrome – all of that kicked off the development of modern high-resolution digital photography and lots of photo art directions. 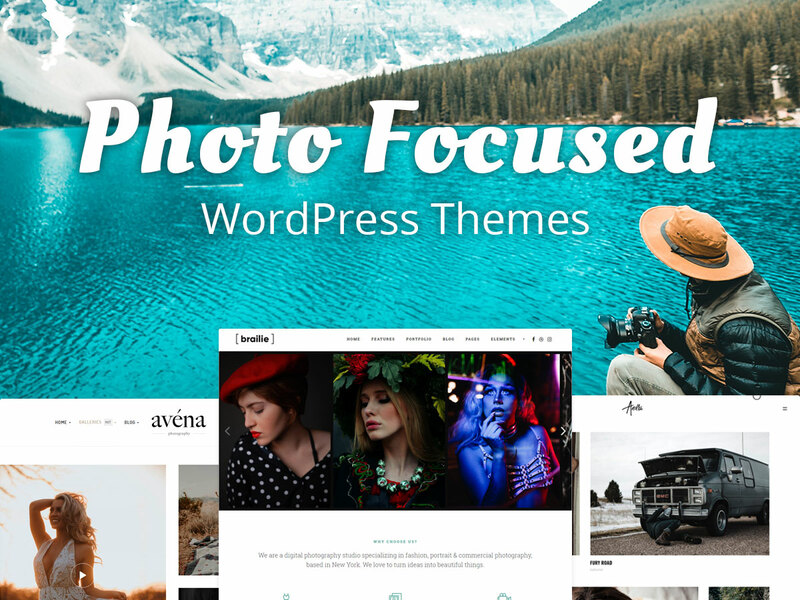 We hope this gorgeous bundle of photo-focused WordPress themes compiled by our team is going to meet your most unexpected needs and ideas concerning the art of photography and your self-expression. Good luck!